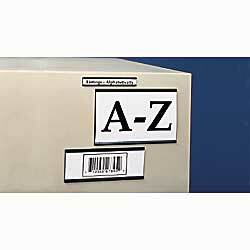 Material Handling Solutions offer warehouse labels to fit all your warehouse labeling needs. 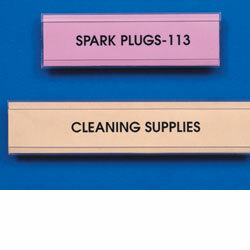 We have magnetic label holders, magnetic write-on tags, floor labeling systems, Hol-Dex insertable label holders and many other shelving label holders and pallet rack label holders. 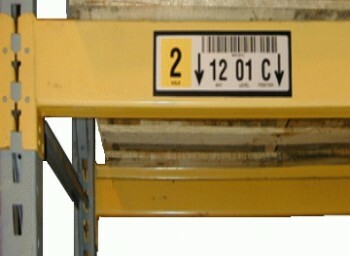 We have both pallet rack label holders and complete labeling systems. We have any labels you need, no matter what your application is. 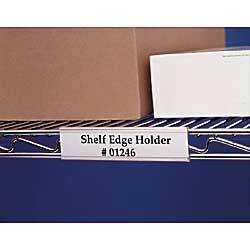 We have a wide variety of shelf label holders such as self adhesive shelf labels, magnetic labels, write on label tags and insertable shelf label holders. 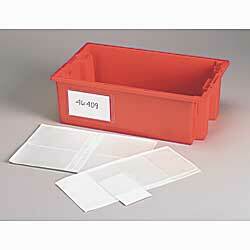 Self adhesive label holders are ideal for barcodes, point of sale and price display. They are made out of heavy duty PVC, will stick to any clean surface and can be cut to the length you need. Customized colors and sizes are available to order. 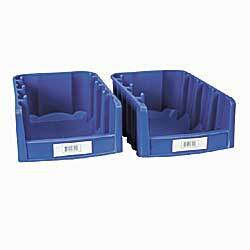 If you are looking for pallet rack label holders, we have the perfect product for you. 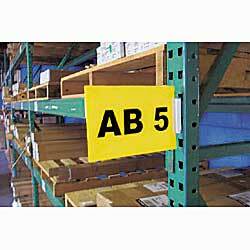 Our extra large pallet rack labels are ideal for warehouses. 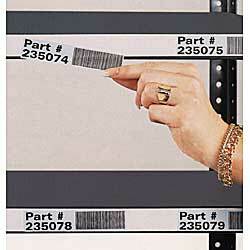 They feature a special matte finish to assure accurate bar code scanning. 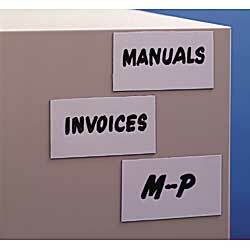 We have a choice between self adhesive or magnetic label holders thereby making them easy to move should need be. We also have warehouse aisle sign kits. Save money with our warehouse sign kit and create your own customized aisle signs. 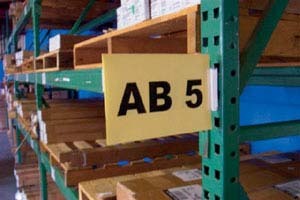 These aisle signs snap into the pallet racks assembly holes and the signs are flexible when bumped to avoid breaking. 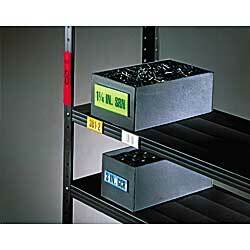 Our industrial labeling systems are ideal for making warehouse bar codes for bins, shelves and pallet racks. It includes user friendly software and a printer which connects to any PC. 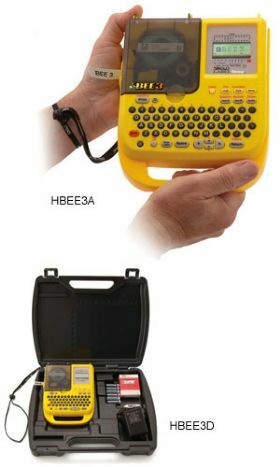 The software library contains over 500 ANSI safety, electrical & other symbols to make warning signs etc. The software contains 8 different barcode formats and it is capable of creating barcode labels up to 8â€� wide. Our barcode labeling systems are the perfect solution for any industrial labeling application. 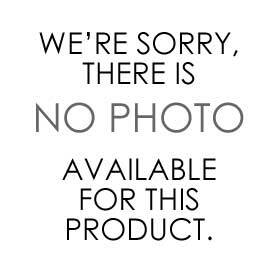 Call us toll free with any questions you may have, and we will help you find the exact product you are looking for.